Warning. 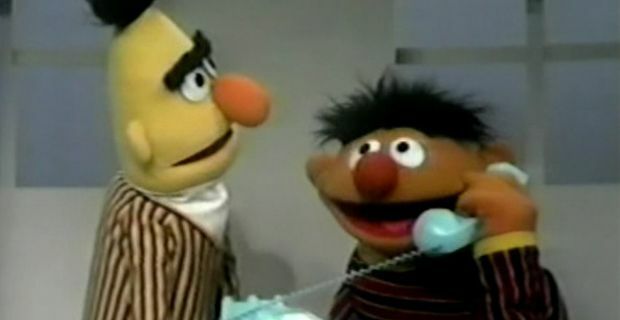 Muppets on the line. In one of the public displays of national imbecility we Brits are so fond of, West Midland’s Police have released a selection of its most ludicrous 999 calls in a sort of Crimewatch Stupidity Special. The force launched a campaign to highlight the abuse of the emergency line, making clear the dangers in tying up officers with baffling displays of idiocy, although one can’t help but think that they also felt that such sublime comedy needed to see the light of day. One man rang the police to complain that McDonald's staff were refusing to acknowledge the hair discovered in his burger. To be fair to the lad, despite a detailed account of his queue position, he did seem to be in two minds about whether his crisis was indeed a police matter. Another woman dialled 999 after she forgot the password to her laptop. Perhaps believing that the Big Brother state would have the answer on file, she seemed genuinely bemused that 999 wasn’t a three digit panacea for anything under the sun. Other callers who subscribed to the broader definition of ‘emergency’ included one charming soul who requested officers come out and scare his sister and a (doubtless teetotal) woman who vented about being refused entry to a nightclub. Unbelievably, almost half of the 700,000 telephone calls received by the force’s emergency phone line having nothing to do with an actual emergency. Chief Inspector Sally Holmes said: “These calls are ridiculous and it doesn’t end just there.